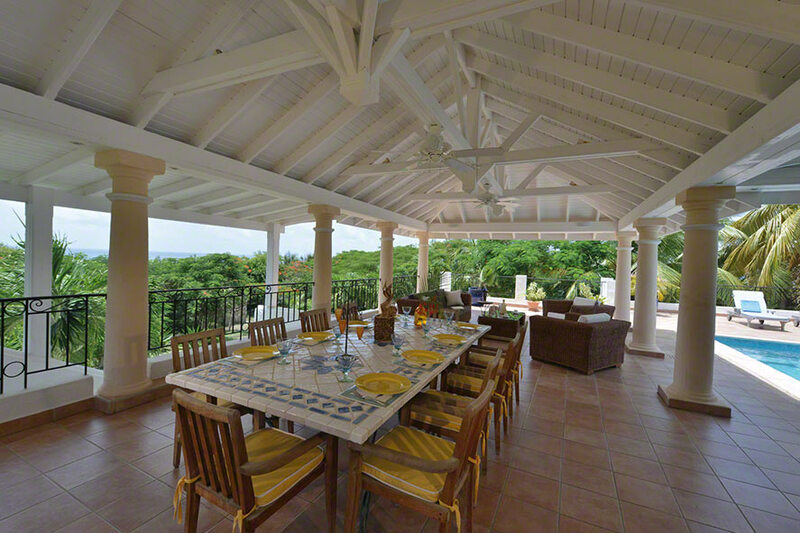 Enjoy Caribbean living at its finest in this luxury hillside villa with 5 bedrooms, swimming pool and magnificent sunset views! 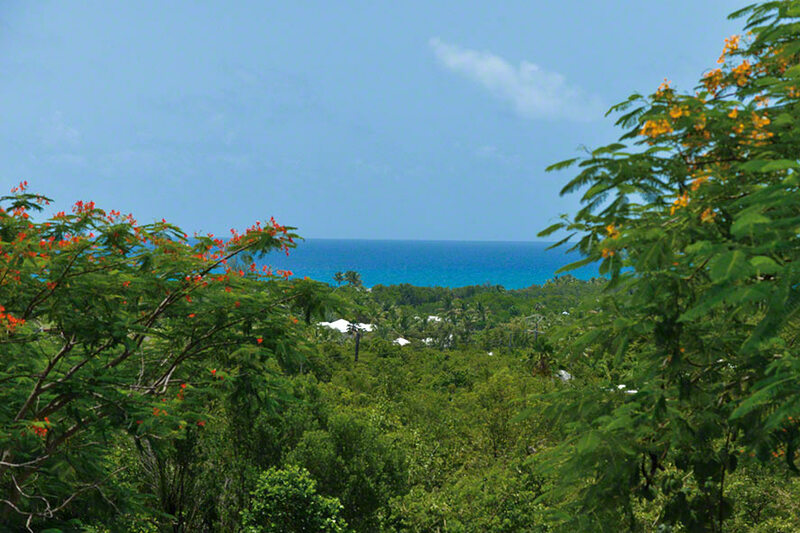 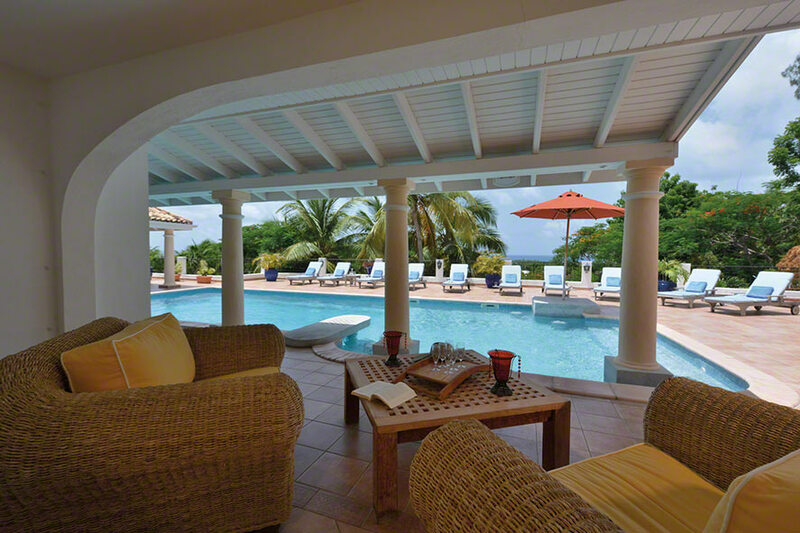 Enjoy Caribbean living at its finest at La Provencale, an expansive, luxury, hillside villa sprawling over two levels, with commanding sunset views of Long Bay, Plum Bay, and the Caribbean Sea beyond! 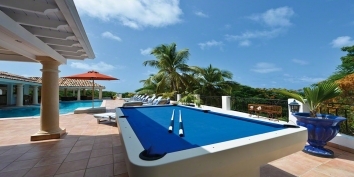 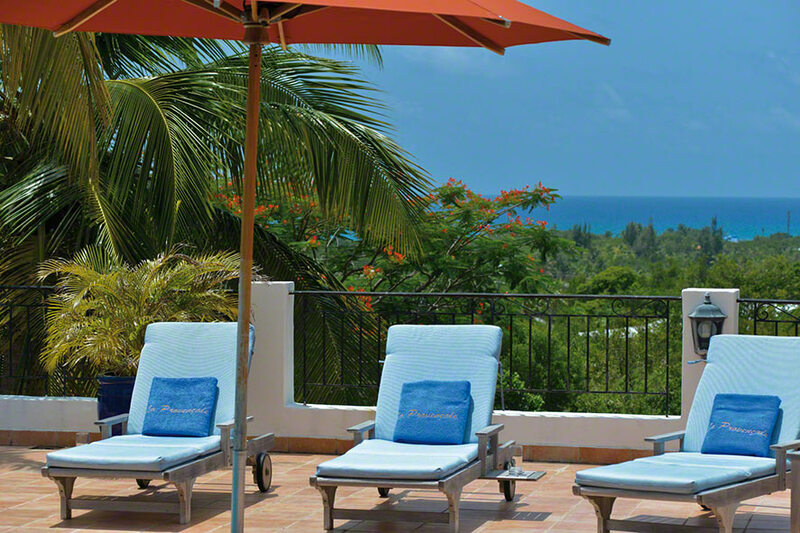 Having recently undergone a major renovation, including a redesigned pool, an expanded al fresco gallery, the addition of a second sun deck, and new furnishings and décor throughout, La Provencale offers many opportunities for relaxing or entertaining with grace during your Saint Martin vacation. 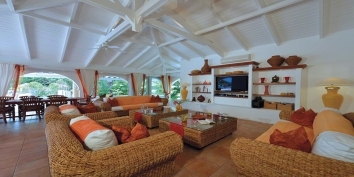 Four spacious bedrooms, all air-conditioned with private bathrooms en-suite, are complemented by an oversized, air-conditioned Great Room complete with a large plasma television and Bose DVD/CD system, a true chef's kitchen, two large sundecks, and a delightful gazebo for outdoor dining and relaxing. Lounge at one of the two in-pool tables, or activate the "endless pool" current generator and swim forever. Bring your iPod, hook it up to the villa's audio system, and enjoy your favorite music in the gazebo, around the pool, or on the lower sun deck. 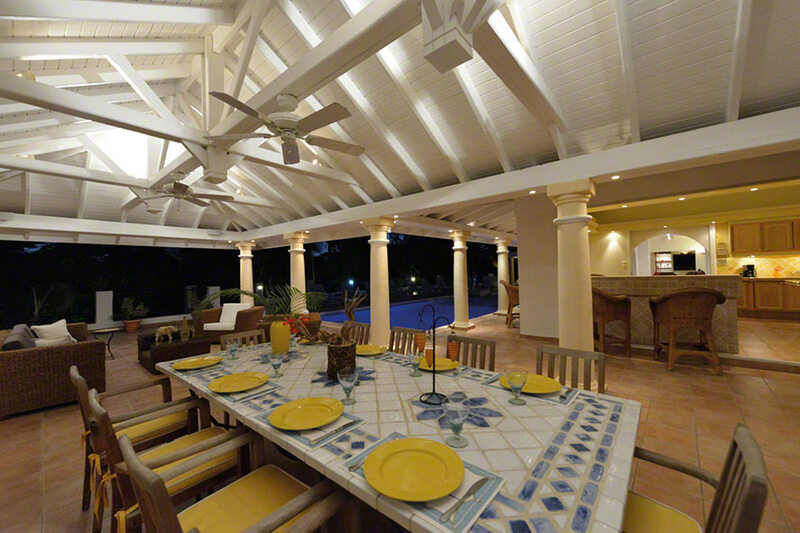 Grill succulent steaks and local seafood on the brand-new Viking gas outdoor BBQ. 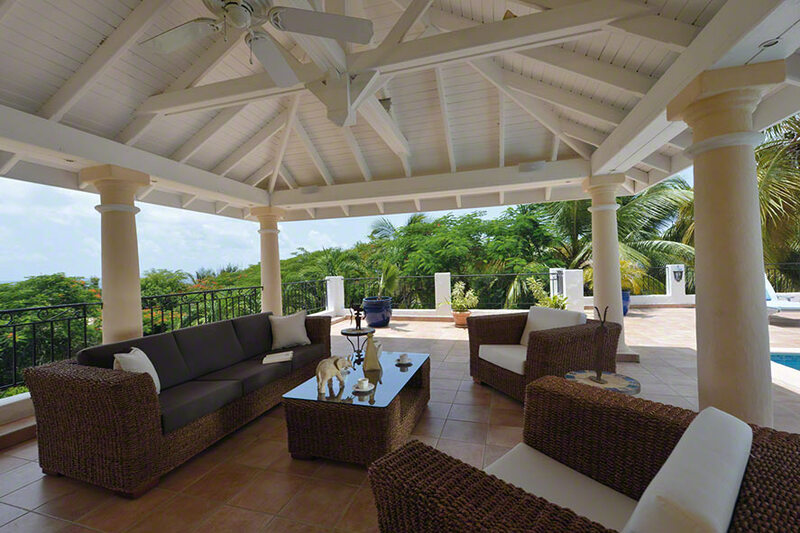 Stay connected with wireless broadband internet access throughout the property. 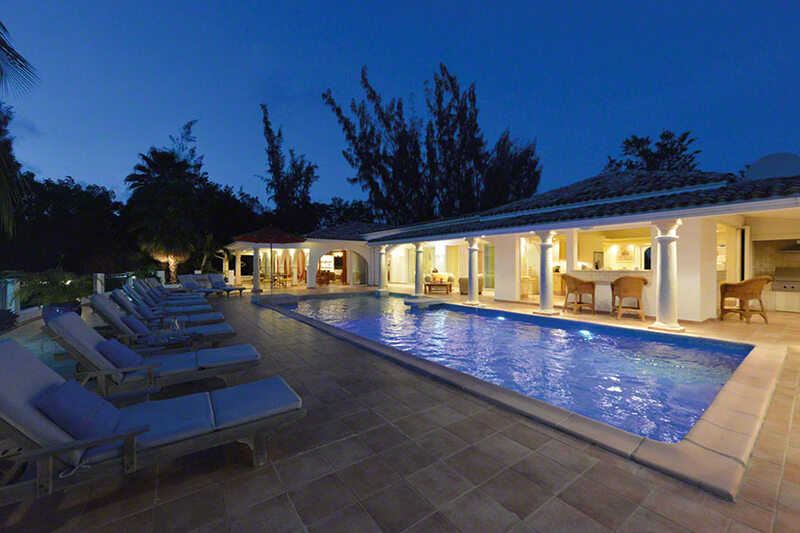 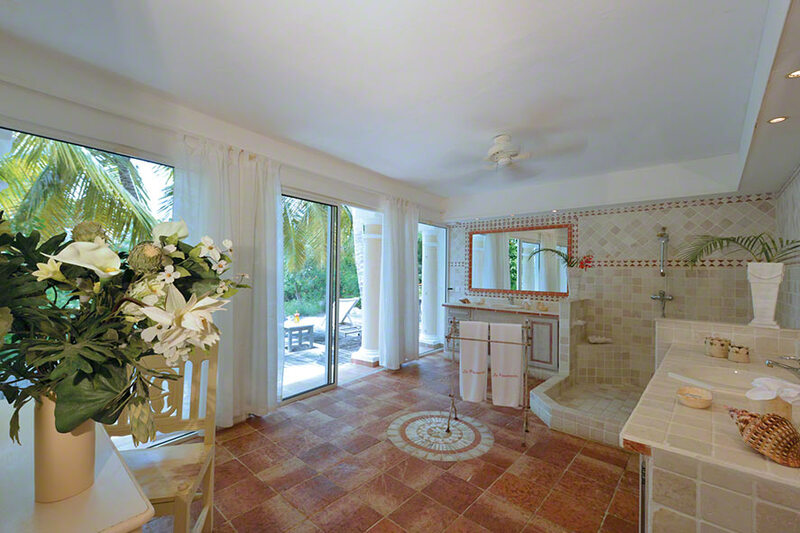 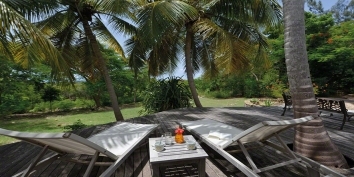 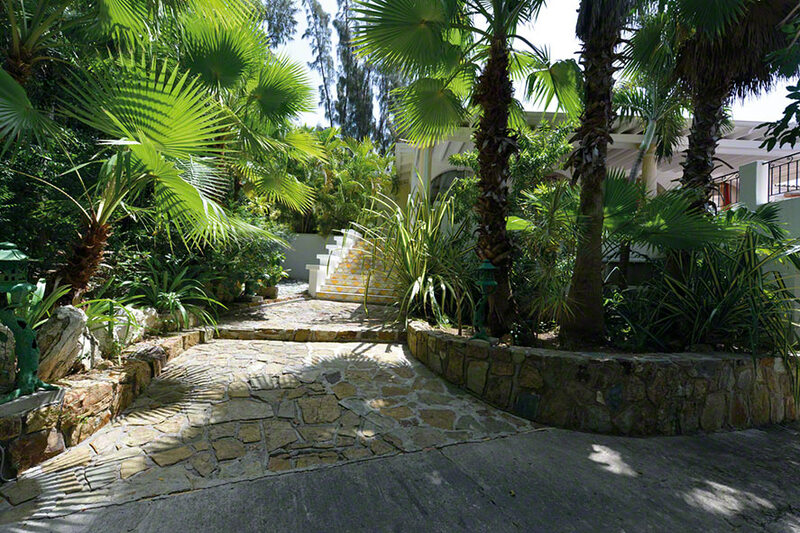 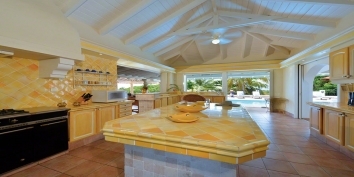 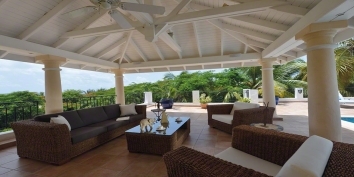 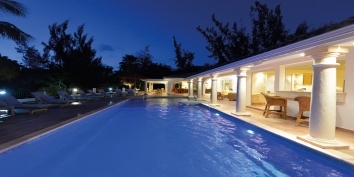 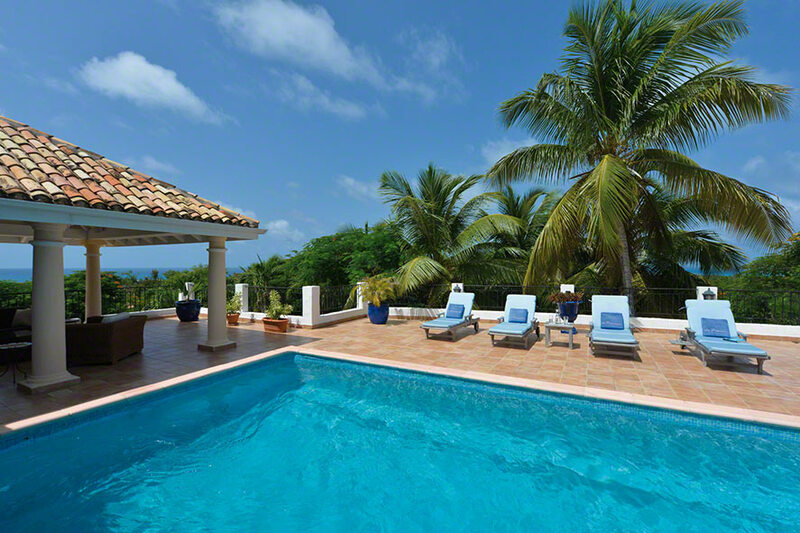 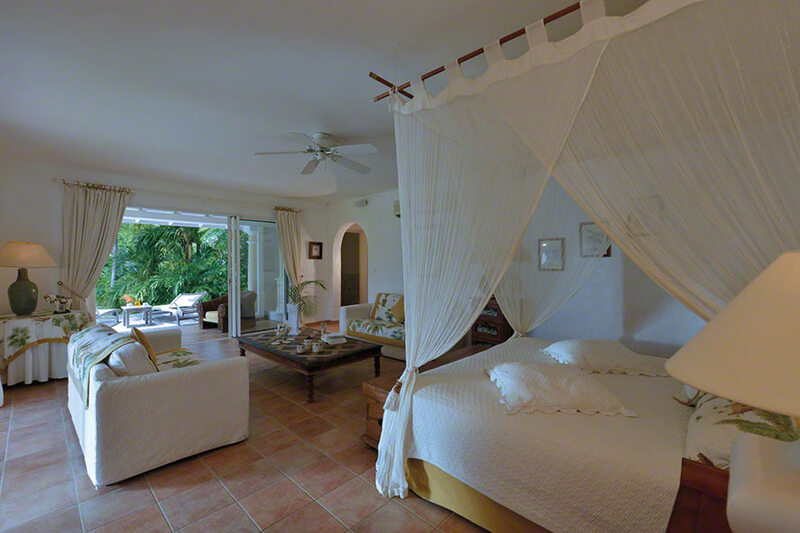 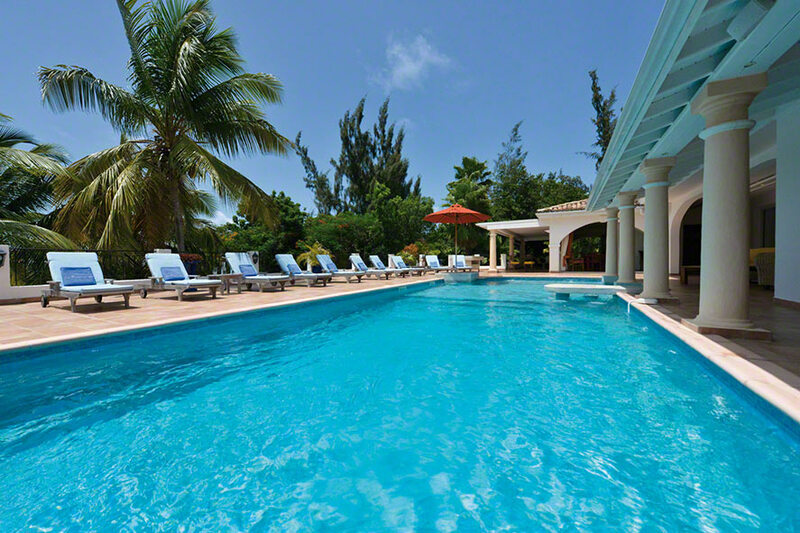 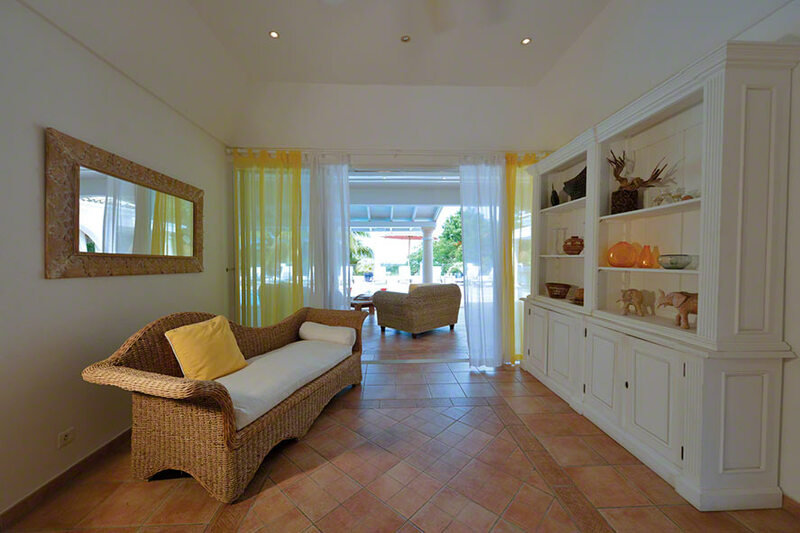 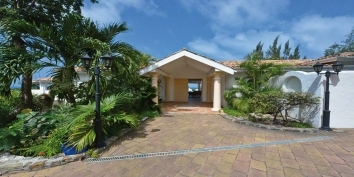 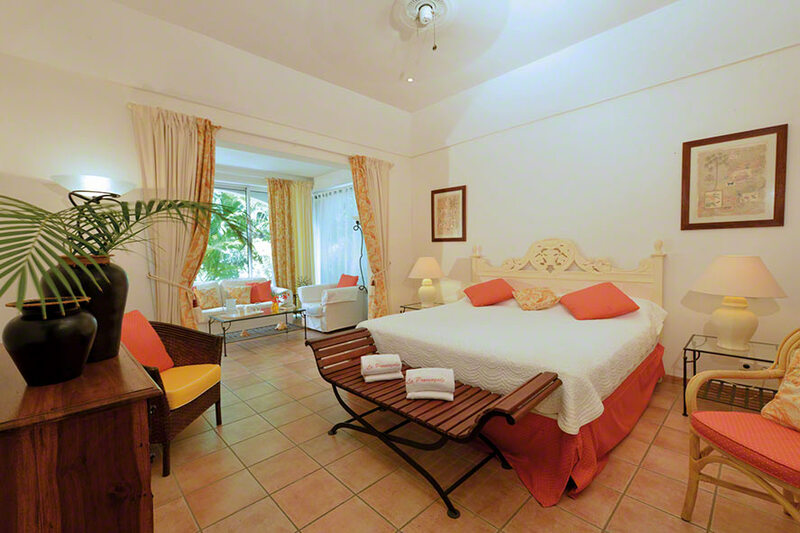 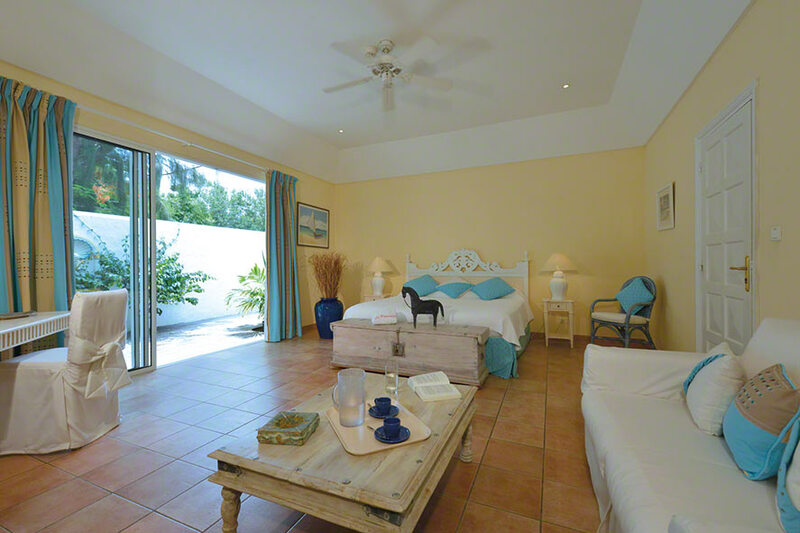 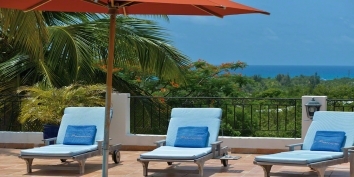 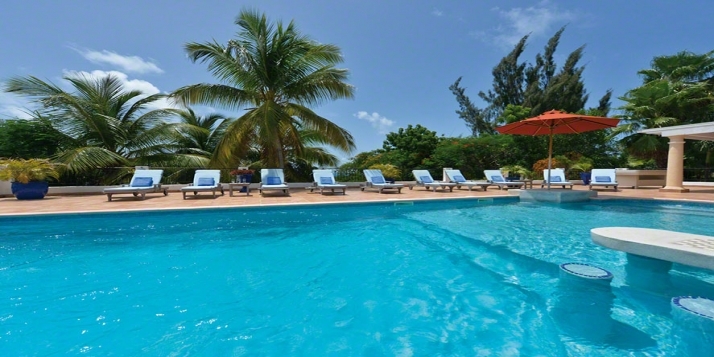 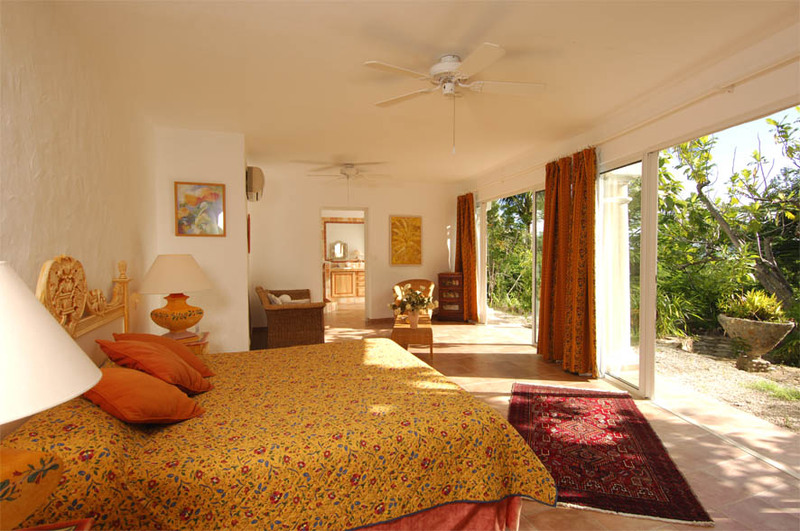 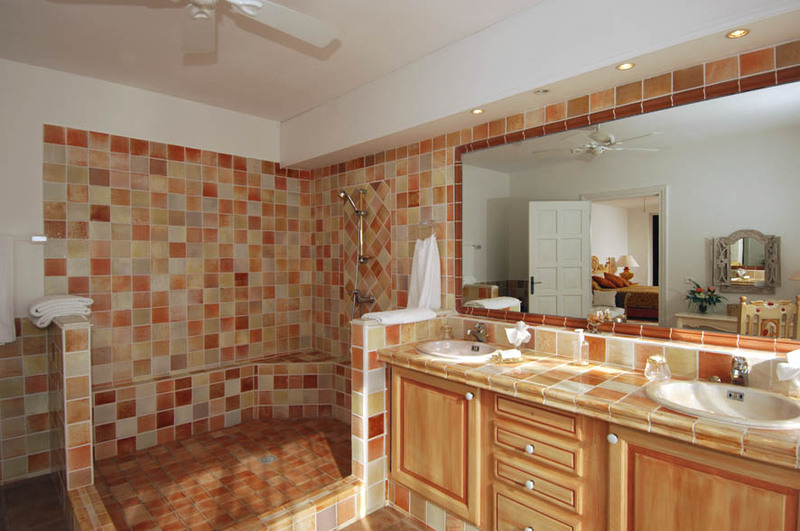 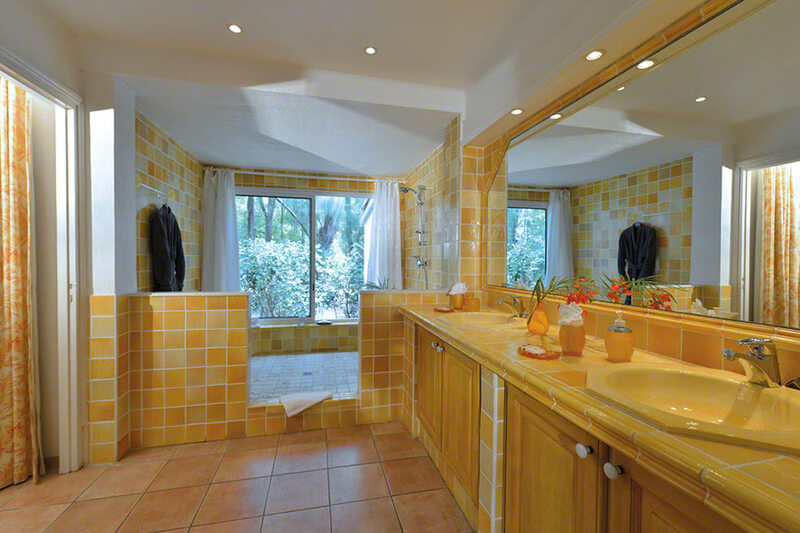 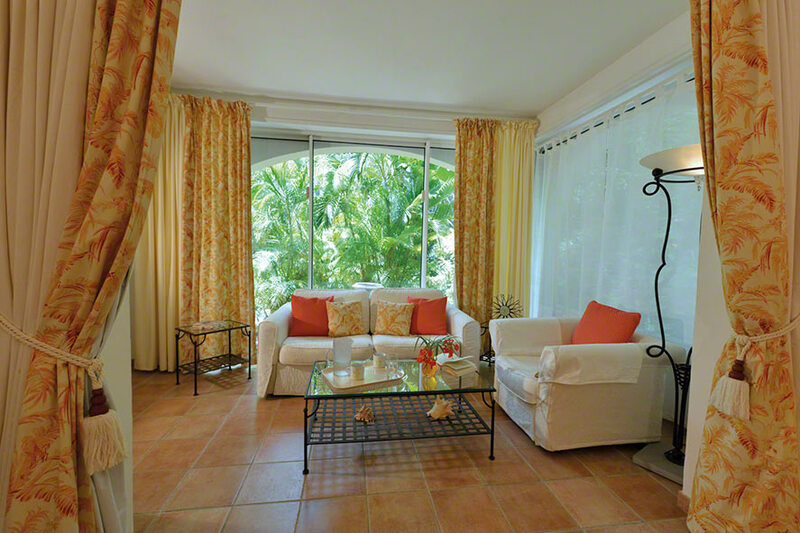 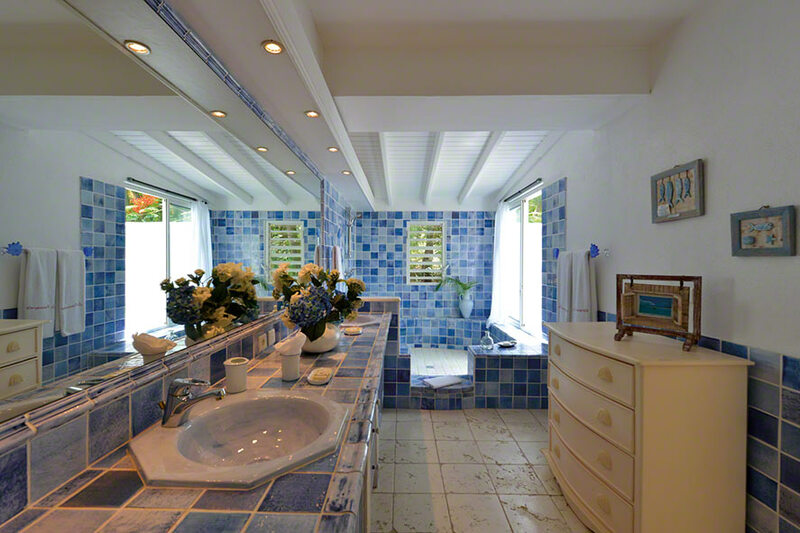 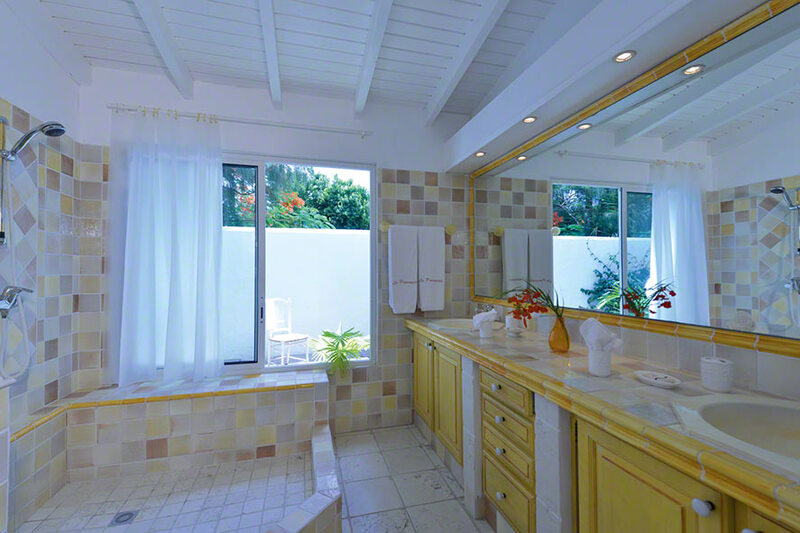 La Provencale can be rented as a 3-4 or 5 bedroom Saint Martin villa rental. 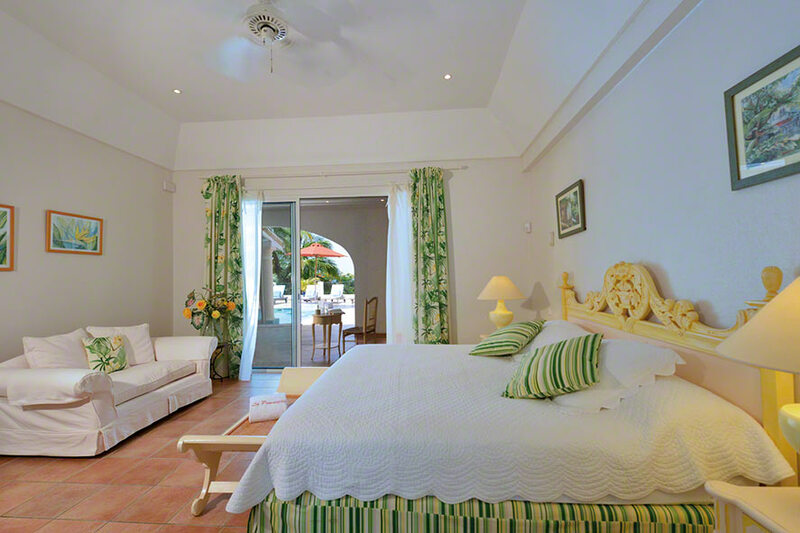 Each of the bedrooms has a king size bed, private shower bath, air conditioning, and ceiling fans. 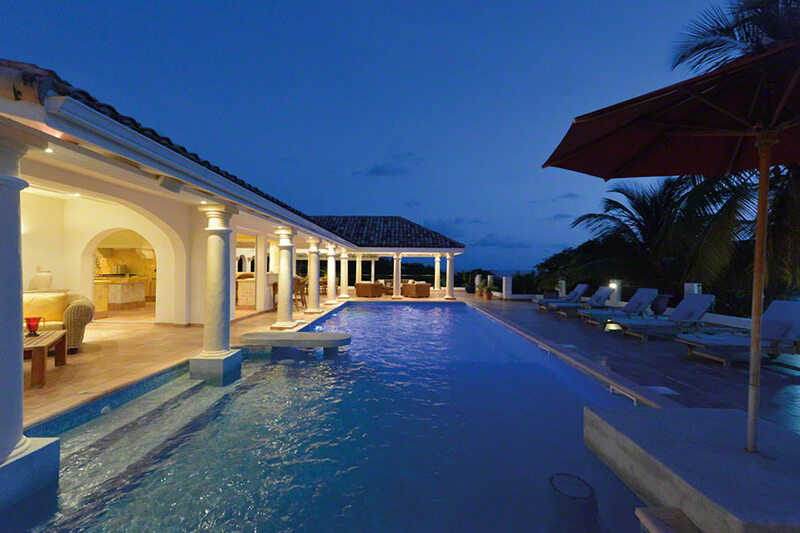 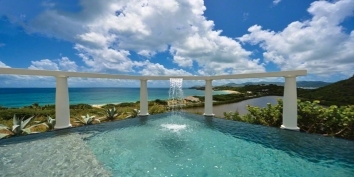 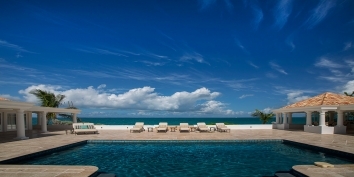 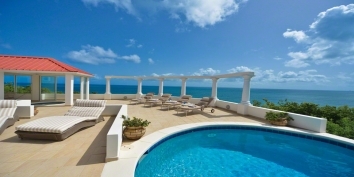 Can be rented as a 3-4 or 5 bedroom St Martin vacation villa. 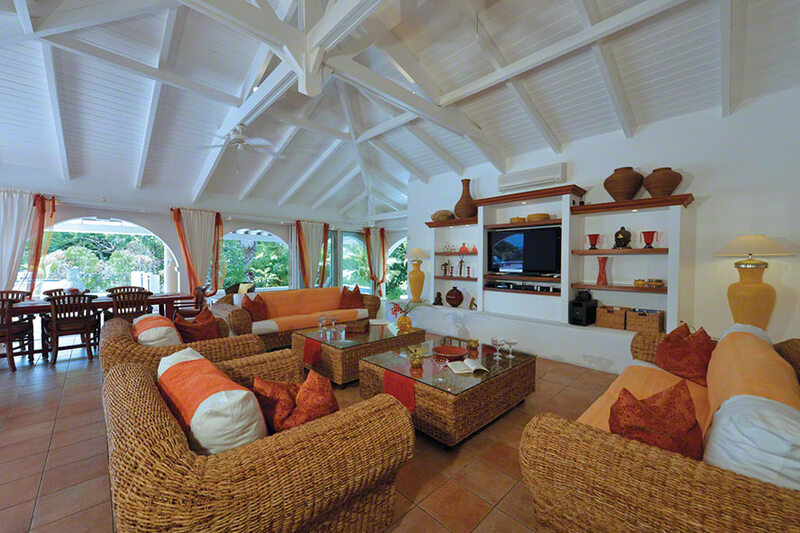 Contemporary Furniture, Large Plasma TV, DVD, Stereo Tape/CD, Ipod connection, Ceiling Fan and Air Conditioning.